Purchased another new Washburn today! I get a daily email from one of the online music stores and I was interested in buying a WG26S, so I went to their website to check their merchandise. I found the WG26S for a very nice price...and then I happened to look further and found a very unusual Washburn that excited me even more...a Southern Jumbo model! Upon further investigation it became clear to me that I had to have one! My very favorite steel string guitar (not a Washburn) is a slope-shouldered "Southern Jumbo" size instrument in my favorite tonewood combination, cedar/rosewood. This WSJ60SKELITE has a solid cedar soundboard and laminate "cocobolo" sides and back. Turns out cocobolo is a very hard species of rosewood...after I found that out (it sure LOOKED like rosewood!) the GAS was too hard to resist. I have been looking for a decent camping guitar and the price was low enough (Washburn hardshell case included) that the decision was easy to make! There WILL be a WG26S in "the crew" in a month. This SJ was just too attractively priced to pass up now...and I have VERY RARELY seen Washburn "slope shouldered" SJ models for sale. Looks like I will need more guitar stands soon!! Re: Purchased another new Washburn today! According to a quick research, it has a Nut width 1-3/4", that's cool for a SJ. Cocobolo can have really nice patterns, so be sure to post some photos as soon as you have it! And which is your favorite SJ? My Epiphone. It is one of their Masterbilt models...a slope shouldered dread size guitar, but being a Masterbilt it is all solid-woods. I don't know if it is the bracing pattern on their "Advanced Jumbo" models, or what, but it is far and away my favorite guitar and without a doubt the loudest acoustic guitar I own. 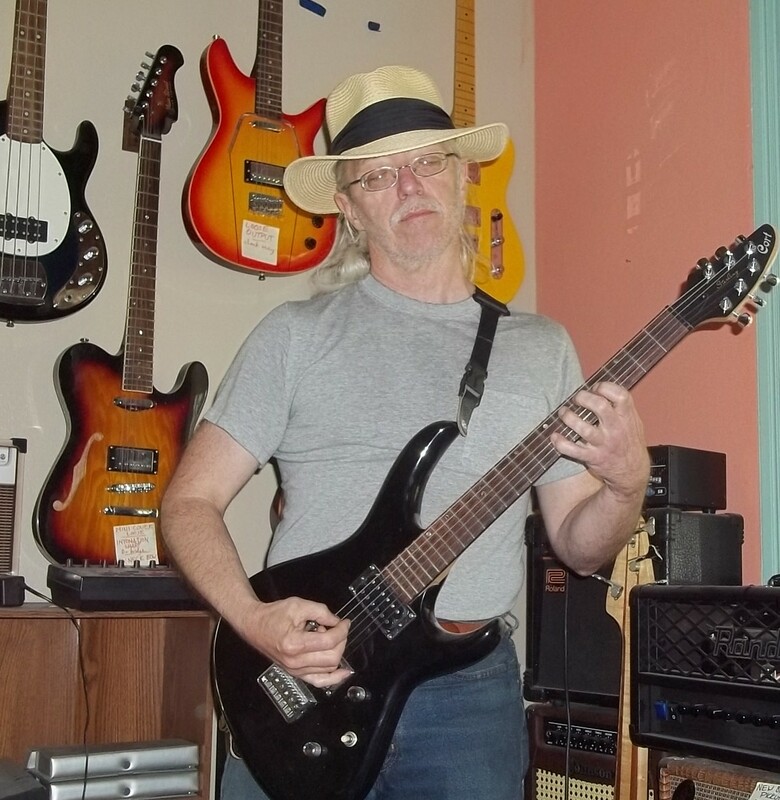 Masterbilts are well respected and my AJ500RC sounds as good as any Gibson I have ever played, it is that good! Yeah, I like the 1 3/4" nut. Washburn makes a solid spruce top/lam koa sides and back model WSJ50SKELITE. It has a 1 11/16" nut. Most of us who like cedar tops are primarily finger-style players, so a lot of cedar-top guitars have wider nuts. Good for Washburn for having recognized and addressed the different preferences in the construction of this ELITE series. From what I have heard the ELITE series guitars were available only from Washburn ELITE designated dealers. I notice the WSJ50SKELITE has wood bindings, but the specs for the WSJ60SK do not address the nature of the bindings. When I get it, which won't be until June 15 at the earliest (I am out of town until then and don't want it sitting on my doorstep for everyone else to see...and want??? ), I will return to this thread and list construction details. For a while I had GAS for a D10SLTD, which has wood bindings. I think the ivoriod bindings look like cheap plastic and the wood bindings give a guitar a look of well-crafted class! We shall see how this WSJ60SKELITE arrives...there must be something special about the ELITE series for it to have been available only through specially chosen dealers!! Looking forward to hearing about your upcoming HNGD experience!! My WSJ60s elite does have a somewhat wider nut, and thin profile D shape. The top & neck binding is maple wood. This is very elegant. However, I'd like a less glossy, less robust finish -- after all, its not a boat! Despite the additional width of the WSJ fingerboard at the nut, the pretty fingerboard binding adds "non-functional" width and a hard edge... Overall not personally more comfortable than fingerpicking a WG or WJ with optimized nut for string spacing. Congrats on the slope shoulder Washie. I'm also a fan of the slope. I have two in the herd now. A very nice Gibson J15, sitka and walnut. And a Martin custom, 12 fret clear, slope shoulder, paddle headstock, adi and Indian rosewood. The appointments are a mix of D28 and d45 style. I'm interested in hearing how your Washburn slope works out for you. you know, I loaned my slope-shoulder to a friend for a while ago. My intent, when I get to it, it to lighten it's top braces, tapering them significantly at the edge of the top to loosen it's suspension in the body. Thought I'd soften the fingerboard edges by rounding them a bit more, and maybe cut a new nut. Then I'll keep it at home and play it... and give a better informed report. Negatives: presence/projection, playability, no strap button on the heel of the neck, attention to minor details during construction. I am pleased to see Washburn did use wood for the bindings of the body---looks a LOT like maple to me. Washburn added other decorative features to enhance appearance, like 5-stripe purfling around the body, neck and head. The frets are nicely dressed on the edges and there are no sharp fret ends. The head-plate is cocobolo, matching the secondary tonewoods. The top is a lightly colored cedar and appears to be acceptably thin. The two pieces used for the back are well book-matched. As are the two pieces selected for the sides. This particular specimen does not have the highly figured contrasting grain patterns that most cocobolo has, but It has nice color and is very attractive. The finish department got it right!!! Flawless!!! I'll be back to edit more in later! Brightens me up to hear that someone with so MUCH guitar experience AND a nice collection of quality guitars can still be tickled by simple experiences. Y'know, this used to bother me as well. Then I dug up a bunch of memories, & realized I had played acoustics that had that button all over the place. So for "beginner" guitars it makes sense to just bolt it on somewhere so the kid can (theoretically) get right on to playing. But with an instrument meant for more-experienced players, builders would simply leave it off, assuming that the guitar shop -- hey, remember those? -- would take a literal minute to put it wherever the customer wanted. I'm too lazy to go open the cases, but I recall putting the Alvarez button below, as it's got a pointy heel, & the Aria's flat on because it's got a "beaver-tail" heel. And if memory serves, the Alvarez's strap was less likely to pop off, though I can't say it was significantly more secure.